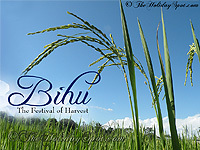 The holiest and renowned harvest festival of North East India slowly but surely is catching the eyes of all the general populace of India with its melodious folk songs and charming celebrations. However, the classy and exclusive dances accompany the mellow Bihugeet. 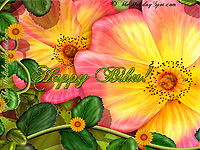 Celebrate the festivities with beautiful and sober Bihu wallpapers of TheHolidaySpot. If you like the collections then please feel free to refer this interesting page to your loved ones.